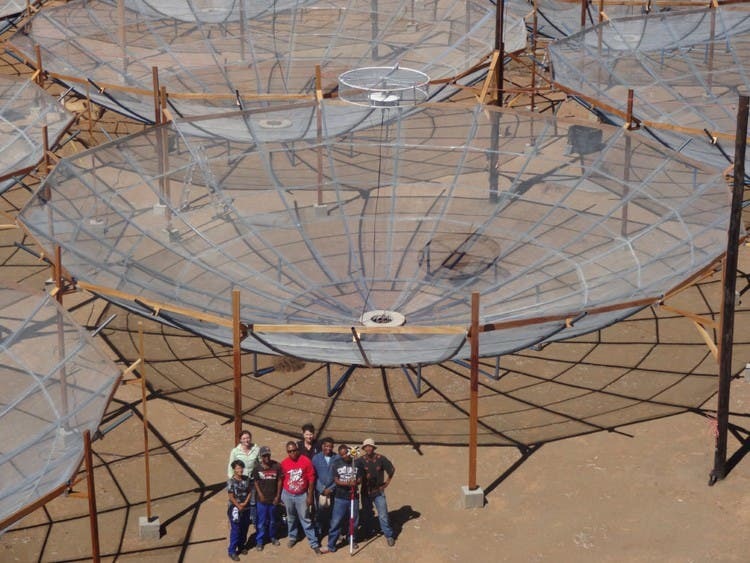 A massive but simple telescope is being made from wire mesh, PVC and telephone poles. 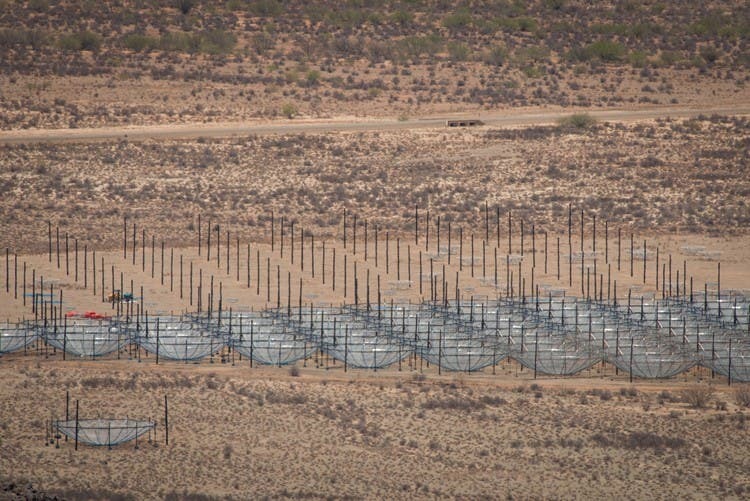 A new telescope that is being constructed in the Karoo will have one aim: to look at the cosmic dawn and find the first ever signals of the birth of the first stars in the universe. Nobody has yet detected a signal so far back in time. 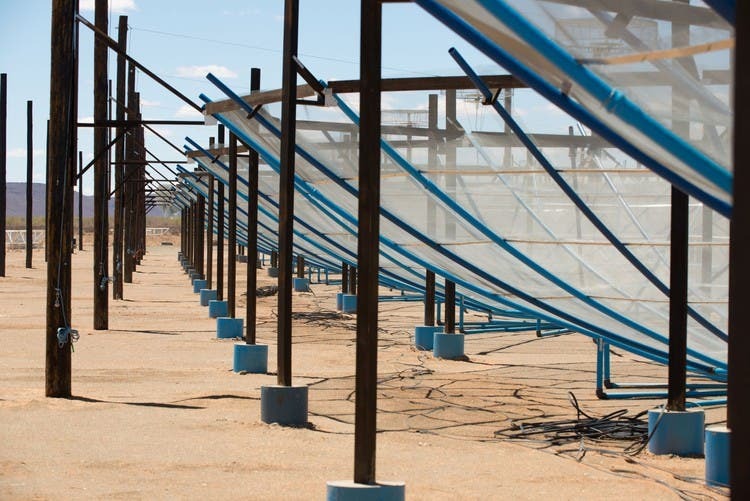 Not far from the already completed 64 dish MeerKAT radio telescope, on the same site as the Square Kilometre Array (SKA), some 90 km from the small town of Carnarvon in the Northern Cape, a very ordinary looking telescope is taking shape. In fact, it looks nothing like a telescope at all. 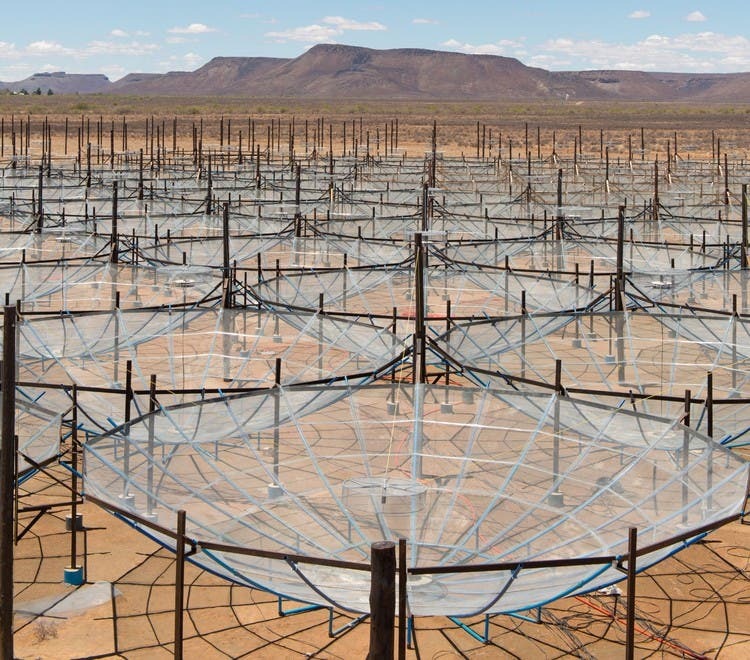 The Hydrogen Epoch of Reionisation Array (HERA) radio telescope will be instrumental in detecting the distinctive signature that would allow astronomers to understand the formation and evolution of the very first luminous sources: the first stars and galaxies in the universe. And even further back in time. The HERA dishes themselves are nothing elaborate; they’re made by using telephone poles, PVC pipes, wire mesh, and bit of wiring here and there as well as metal reflectors. The reason is that the dishes don’t need to move. They have short lifespans and only one scientific objective, which is to look at the very early universe, just a few million years after the Big Bang, which occurred 13.7 billion years ago. HERA will be the most sensitive radio telescope built to look as far back as 13.5 billion years ago. There are whispers among astronomers that this might bring the first ever Nobel Prize in physics for the African continent in years to come. It is an international collaboration between America, Britain and South Africa. The construction material comes from the Karoo region and the work is done by local people from Carnarvon, who also act as team leaders. Carina Cheng, a graduate student working on HERA, explains that they are interested in a time called the The Epoch of Reionization (EOR). It is an era in cosmic history which occurred about a million to a billion years after the Big Bang. For a long time the universe was dark and neutral, explains Cheng. But there were fluctuations (slight over-densities of matter), left over from the Big Bang. These slowly grew. Eventually the denses regions collapsed to form the first luminous structures. These were the first stars and galaxies. “As telescopes have become more and more sensitive, we’ve been able to look at galaxies further and further away [further and further back in time[, but we’re only just beginning to be able to see these ‘first’ galaxies, now,” Cheng says. “Instead, mapping the hydrogen itself — as it alters phase from neutral to ionized — using radio telescopes is a promising and complementary way to probe this era. If we can map out how the gas changes over time, we will learn about the properties of the first stars and galaxies that are responsible for the ionizing. For example, whether the hydrogen gas was ionized quickly or slowly — or over large scales or small scales — will tell us about the characteristics of the first stars and galaxies,” Cheng says. But there is currently a problem. Telescopes can receive signals from times very far back — and then they hit a “curtain”. It is called the cosmic microwave background radiation (CMB) – at about 380,000 years after the Big Bang. Prof. David DeBoer, astronomer from the University of California at Berkeley, the university leading the scientific team, explains that HERA has been optimised to remove this “curtain” or signals which are very bright. We will be able to see through it. How do astronomers distinguish between the very first stars and galaxies and the “noise and signals” in the foreground? 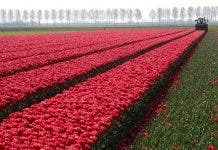 “This is the hardest part of it all, since the foreground material is about a million times brighter, so we need to get rid of it. They do have a different spectrum from what we are trying to find. So the Epoch of Reionisation would sound like the static you heard when you dial between two radio stations, while the foreground would sound like someone whistling. We can filter that out and measure the static,” DeBoer says. Kathryn Rosie, project engineer of HERA, says the instrument will consist of 350 dishes. 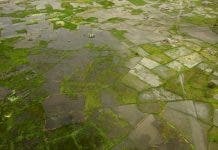 It will be finished this year and they hope observe from September to March. Observations of this kind are better in summer because of the sunlight’s impact on the atmosphere and the galactic plane. Most of those strong foreground noises come from our own galaxy and these get weaker if most of them are below the horizon. Rosie says they can get away with using mesh as a reflective surface because the wavelengths they are interested in (1.2m – 6m) are too long to pass through the small holes in the mesh (6.4mm). How do the dishes work? The HERA telescope design is a parabolic dish, which focuses light rays to a centre point above the dish, where a feed hangs which collects the light. The dishes, which act as one telescope, are closely packed, pointing in the same direction. The signals travel from the telescope, through long cables, into a digital signal processing system. Each dish is 14m in diameter, and the reflector is about 2.5m off the ground. The feeds are rigged 4.5m above the bottom centre of the dish. When you look at the moon on a clear night, you’re seeing it as it was 1.3 seconds ago, because it takes light 1.3 seconds to travel from the moon’s surface to our eyes. When you look at Sirius, a bright star known as the “Dog Star” which accompanies the constellation Orion, you’re seeing it as it was 8.6 years ago, because that’s how long it takes for its light to travel to us. When you see the Large Magellanic Cloud, a nearby galaxy that you can see with your naked eye from South Africa on a really dark night, you’re seeing it as it was 160 thousand years ago. “HERA employs this same profound principle – that light takes a finite time to travel the cosmos – to observe billions of years ago. The wealth of information that HERA will unlock about our early universe is exciting, but for me personally – the sheer fact that astronomers are able to piece together the history of our universe with observations spanning billions of years will always be a remarkable feat,” says Cheng.